When House music dominated the pop charts at the end of the 1980s the move into the 1990s brought a new ambient sound of dance music to audiences. One of the great female voices of that era was Dina Carroll. She had one of the most wonderful albums of that period with her debut album So Close. One of my most favourite dance songs of all time Ain't No Man was just one of the many fine single releases from that album. 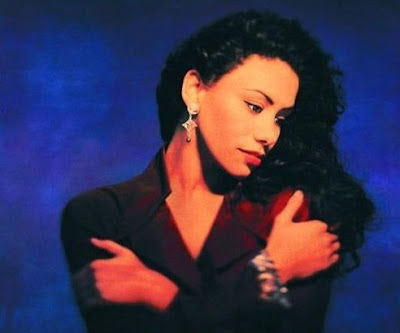 Dina Carroll's debut hit was with Quartz in 1991 when she was the vocalist on their cover of the Carole King song It's Too Late. I loved that the song was by Quartz introducing Dina Carroll. Every song today 'features' a vocalist as if they are already known to music audiences but in the 1980s and 1990s music artists had to really work their way into people's attention slowly and build a fan base. It's Too Late featured on Carole King's 1971 album Tapestry and it was written by Toni Stern and the music was written by Carole King. the b-side to that song was I Feel The Earth Move which shows you what an amazing era the early 1970s was in music. It's Too Late by Quartz introducing Dina Carroll got to number 8 in the UK singles chart for 3 weeks in 1991. When I was a child songs by The Beatles were always on the radio. As a child their songs always sounded like songs from a long time ago but in reality they were only a few years old in the late 1970s and 1980s. I grew up hearing covers of their songs by other people and only later realised that they were Beatles songs. I'm sure that is the way when teenagers hear songs from today's music charts and have no idea that the song contains a sample from the 1980s or even later. One Beatles song that I have always associated with another singer is the song Here, There and Everywhere which was covered by Emmylou Harris. It was written in 1966 by Paul McCartney and credited to him and John Lennon. 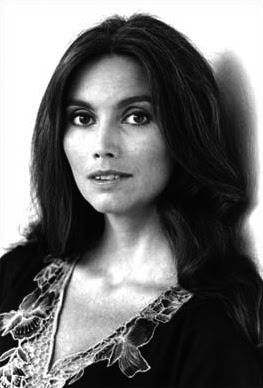 Emmylou Harris recorded her version for her 1975 album Elite Hotel. I heard it again today on a country music compilation album and knew it was the next song to feature on my 100 Cover Versions list. The Beatles songs really were poems, little moments of beauty. A timeless quality created from the first time someone heard them on the radio, songs that we as listeners end up carrying with us as memory and association of place and time. Emmylou Harris was and still is a music artist who simply presents the individual song itself as a thing of beauty so it no wonder that she can sing country, pop or a ballad or that amazing combination of all three.